This is normally used for confirmation level of a medium in a boiler, tank, vessel etc. Also, remote digital indication of the level and electrical signal by a transmitter for remote level indication can be presented. There are enough engineers in our manufacturer to calculate, design and calibrating the performance of the products using fluid, normally water. We handle also following mechanical parts to transfer rotation to the other such as rotation from electric motor to pump, turbine, compressor and blower. 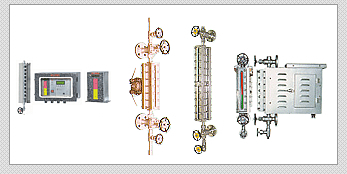 Heat Exchangers are of our handling items, mainly oil cooler, heating, cooling through a medium. Plate type heat exchanger requires smaller installation space and easy for maintenance. We are also handling round bar, forged steel and deformed bar.